Released for the first time- 2nd WCH HUMANITARIAN SUMMIT SPEAKERS! Watch REVEREND DR. CARI JACKSON, author, speaker, social healer gives her speech last August 6, 2015 at the UN Grounds. Watch BEN LAI President of China-US Business Association (CUSBA) gives his speech last August 6, 2015 at the UN Grounds. Watch MARY SINGLETARY, President of National Council for Women of the United States (NCWUS) gives her speech last August 6, 2015 at the UN Grounds. Watch HER ROYAL HIGHNESS ASHARAJE GAEKWAD of the Rana Kingdom of Nepal gives her speech last August 6, 2015 at the UN Grounds. New released- 2nd WCH HUMANITARIAN SUMMIT SPEAKERS! Watch H.E. HANY AZIZ TADROS, Former Minister and President of Peace Lovers Egypt gives his speech last August 6, 2015 at the UN Grounds. New released- WCH HUMANITARIAN SUMMIT SPEAKERS! Watch MAUREEN BRINDLE's book reading in front of the honorees last August 6, 2015 at the 2nd Annual WCH Humanitarian Summit at the UN Grounds. Just released- 2nd WCH HUMANITARIAN SUMMIT SPEAKERS! Watch RAHUL VARMA gives his speech last August 6, 2015 at the UN Grounds. Just released- 2nd WCH HUMANITARIAN SUMMIT SPEAKERS! Watch DR. HARI PRASAD KANORIA gives his speech last August 6, 2016 at the UN Grounds. Just released- 2nd WCH HUMANITARIAN SUMMIT SPEAKERS! Watch IMAN MUTLAQ gives her speech last August 6, 2016 at the UN Grounds. Showing for the first time- 2nd WCH HUMANITARIAN SUMMIT SPEAKERS! Watch DR. STEPHEN SHAYA give his speech last August 6, 2016 at the UN Grounds. Showing for the first time- 2nd WCH HUMANITARIAN SUMMIT SPEAKERS! Watch MANISHA KOIRALA give her speech last August 6, 2016 at the UN Grounds. Showing for the first time- 2nd WCH HUMANITARIAN SUMMIT SPEAKERS! Watch Hon. Senator Diane Watson give her speech last August 6, 2016 at the UN UN Grounds. Lovely message from CEO ExtraOrdinaire Ms. Kari Wilson, thank you for being part of the Founder's Month. I love the fact you are turning your frustrations and heartbreaks with your father into inspirations to reach your goals and moving on with courage and integrity. Thank you to WCH Publicity Ambassador Tamie Collins Markee for consistently bringing wonderful people to the world of WCH. And great jobHuman Itv Staff, you are becoming an expert on graphic design! I am loving this wonderful birthday gift from incoming WCH Publicity Ambassador Diana (D/Ling) from China! You are so talented D. and your dance students are amazing too. I love what you're doing, let's encourage more youth to express their creativity through dancing and other performing arts. Looking forward to viewing more humanitarian works from you through your dancing and TV reporting! Great hosting Sand Meezy and good job Human Itv Staff! 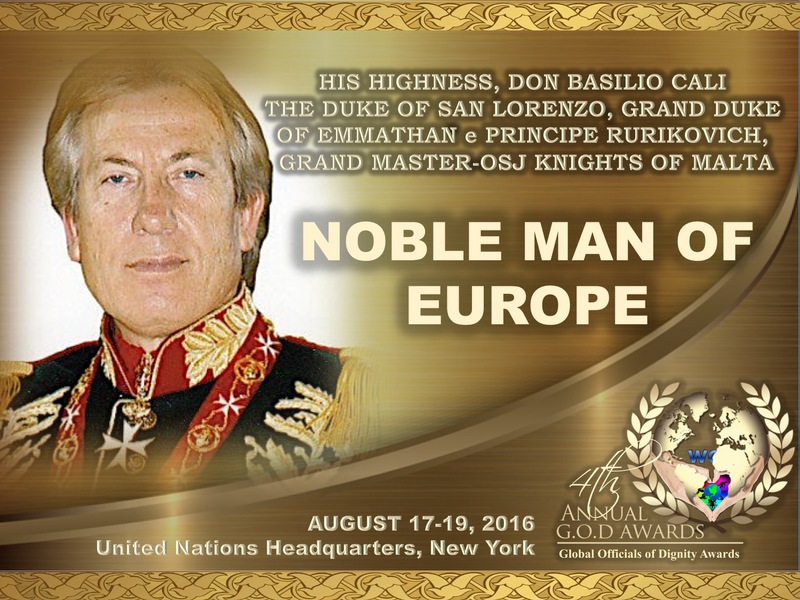 Don Basilio will be honored at the 4th Global Officials of Dignity Awards(G.O.D. 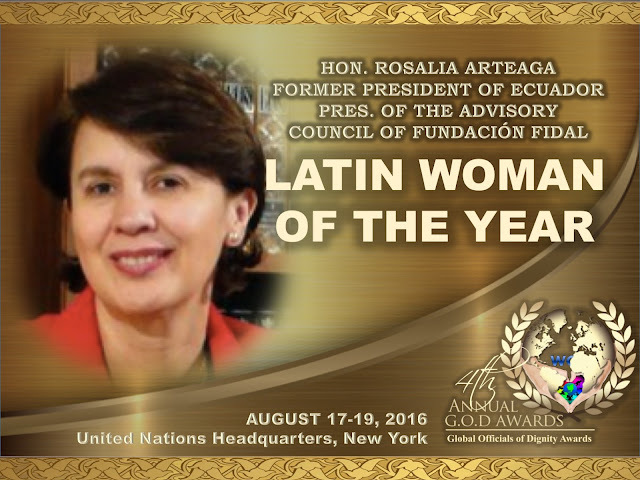 Awards) on August 17-19, 2016 at the United Nations Headquarters, New York. This flagship event is organized by We Care for Humanity and its philanthropic partners: SREI Foundation, J & B Medical Company, HWPL and China-US Business Association. THE PURPOSE OF THE 4TH G.O.D. AWARDS: PIETAS. 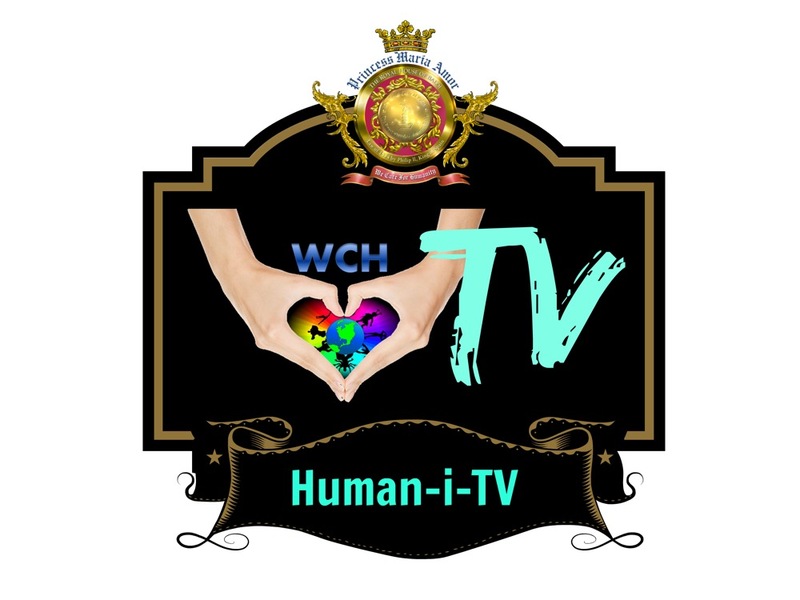 It's that season of the year where We Care for Humanity (WCH) celebrates its founder's birth month and the conceptualization period of the organization. May is a glorious month as well as humanitarian month for Princess Maria Amor and the men and women of WCH which is called Founder's Month. During this month where all board members and Ambassadors get to pay tribute to HH Princess Raden Dato'Seri Maria Amor Torres by doing humanitarian works anywhere in the world. 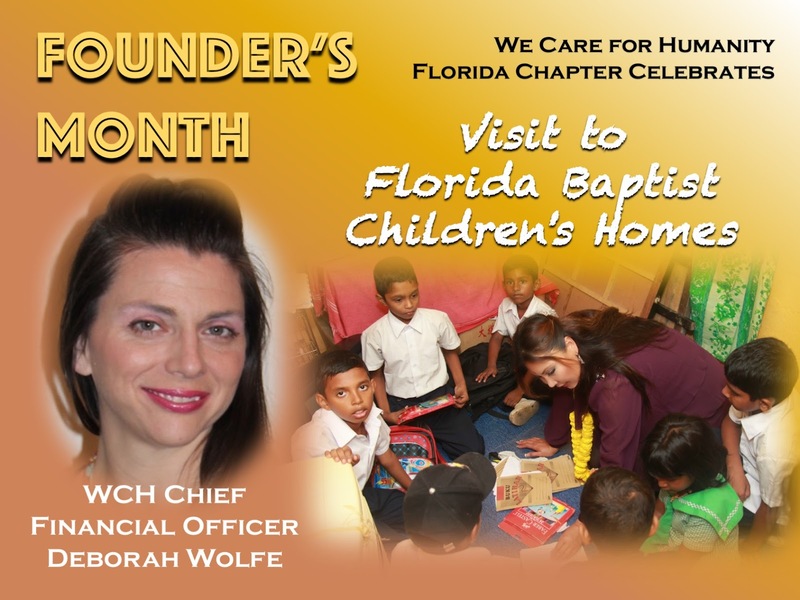 In Jacksonville, Florida, WCH Chief Financial Officer Deborah Wolfe is commemorating Founder's Month by visiting the Baptist Children's Homes to do humanitarian service for those children and youth living in residential foster homes, ages 8 living in homes, 11-19, removed from home because of abuse, etc. Deborah is excited to do fun activities with them such as planting tomatoes with the kids, show them how to grow their own food, then cook with them, make salsa and something sweet. WCH: What is your idea of a better world? DW: People helping each other and accepting their differences. WCH: How do you think you can contribute to humanity? DW: Teaching children job skills and real life skills; accounting skills; contribute ideas for fundraising and marketing. WCH: What is your opinion of We Care for Humanity (WCH)? DW: WCH has a wide reach and a high internal energy level which I believe will enable it to succeed in changing the world. WCH: What is your opinion of Princess Maria Amor? DW: She is a kind person, highly directed, and unimaginably generous. It's hard to measure the effect that someone like Princess Maria Amor has, but it is making the world a better place. 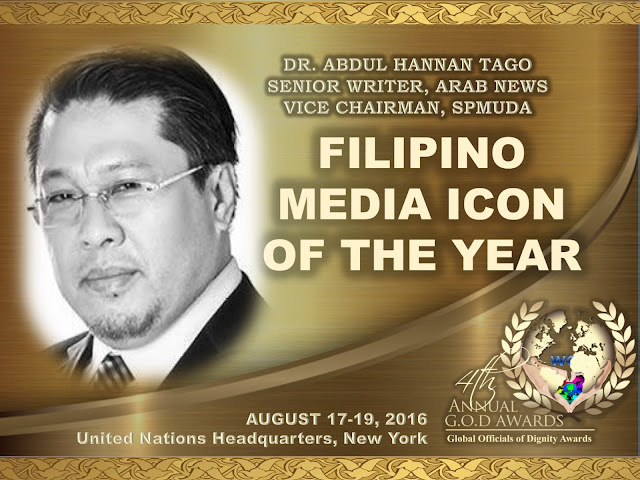 Dr. Abdul Hannan Tago, SPMUDA Vice-Chairman and Senior Staff Writer of Arab News will be conferred as Filipino Media Icon of the Year at the 4th Annual G.O.D. Awards. Tago is considered most influential Filipino in the Gulf as Media’s Filipino Custodians. For more than 25 years his gave tireless services for OFWs and bring their plight and clamor into light and eventually solution. That was apparent when he and other OFWs saved the life of the Filipino in the death row, Rodelio :Dondon" Lanuza. "I understand the power of media and one thing I admire about Dr. Tago is he uses that power to help humanity especially the Filipinos. I witnessed how he played a big role in the winning of Filipino favorite mayor Rodrigo Duterte for president of the Philippines. With his leadership and perseverance, he helped him won by landslide in the Middle-East. ", testified Princess Maria Amor, founder and president of We Care for Humanity (WCH). Dr. Tago will be honored at the 4th Global Officials of Dignity Awards(G.O.D. Awards) on August 17-19, 2016 at the United Nations Headquarters, New York. This flagship event is organized by We Care for Humanity and its philanthropic partners: SREI Foundation, J & B Medical Company, HWPL and China-US Business Association. Dr. Abdul Hannan Tago is the first Filipino multilingual journalist with deep insight into Arabic culture and Middle East affairs. He has been working in Saudi Arabia for the past 25 years plus 9 years study in Cairo Egypt. On September 12, 2012 he was awarded the title, “Doctor of Humanity AUGP Ambassador of Goodwill of Peace, Kingdom of Saudi Arabia” with the approval of the AUGP Board of Directors, Founder and Chairman Most Rev. Dr. Madhu Krishan. • I was asked to cover the historic visit of Chinese President, Xi Jinping, to Saudi Arabia on Jan 19-20 this year to produce an 11- page special supplement on his visit. It was a print media record unprecedented in terms of media coverage for such a high profile event at the international level. He is currently Vice-Chairman/ Board of Directors and Senior Vice-President for International Relations and Cooperation with the rank of Goodwill Ambassador to Saudi Arabia for SPMUDA International, an NGO based in the Philippines and recognized by the United Nations. Dr. Tago is the Founder and President of the Integrated Mindanao Economic Forum (IMEF) based in Riyadh. He was also nominated as the Philippine Ambassador to Riyadh in 2010 for his role in cementing Saudi-Philippine relations. Presently, he is working with Arab News, the leading newspaper in the Middle East, as a senior staff writer. In this capacity, he was invited by many Saudi Arabia’s friendly countries in the Middle East, Asia and Europe, as a member of the media team from the Arab and Gulf countries. He was the lone Arabic-speaking Filipino journalist among the Arab media representatives. Hannan’s fluency in Arabic has provided him with a medium through which he has won friends and influenced people, both from government and private sectors. Abdul Hannan is also the only Filipino journalist who can write in chaste Arabic. He is, in fact, a regular contributor to leading Arabic newspapers in the Middle East. His articles appear in well-known publications like Al-Sharq Al-Awsat and Al-Eqtisadiah frequently, besides other Arabic newspapers. He appeared on Saudi TV both in Arabic Channel and the English service (Channel 2), where he dwelt on current issues in Saudi Arabia. It is no mean achievement that Abdul Hannan has been selected as one of the guest speakers at the 2nd Annual Saudi Broadcasting Forum which held in Riyadh on 29-30 September, 2012. Abdul Hannan has 33 years’ experience under his belt in the Middle East, of which eight years were devoted to academic studies in Cairo, and 25 years in Saudi Arabia. He worked with Saudi government’s stocks regulator, Capital Market Authority (CMA), and the Saudi Stock Market in its Media and Investment Awareness Department for two years. Joining the crème de la crème honorees of the 4th Annual G.O.D. is Slovenia's 1st Prime Minister, His Excellency Alojz Peterle, who is the current president of The MEPs Against Cancer (MAC), an informal group of Members of the European Parliament (MEPs) at the European Parliament committed to actions against cancer. Alojz Peterle will be honored at the 4th Global Officials of Dignity Awards(G.O.D. 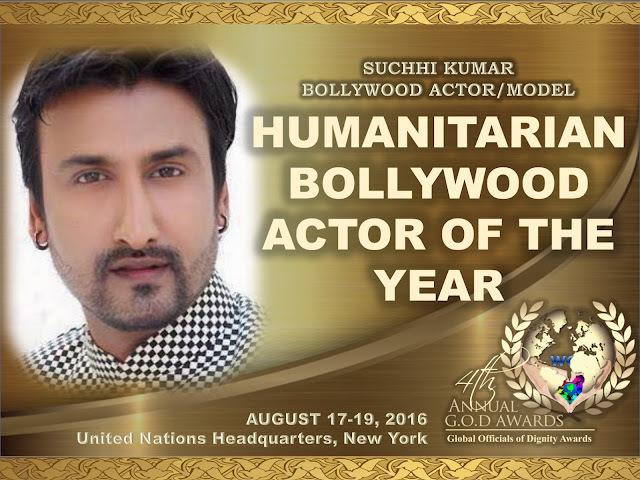 Awards) and scheduled to speak at the 3rd WCH Humanitarian Summit on August 17-19, 2016 at the United Nations Headquarters, New York. Both flagship events are organized by We Care for Humanity and its philanthropic partners: SREI Foundation, J & B Medical Company, HWPL and China-US Business Association. WCH Publicity Ambassador Jose Martin Corcino, appointed 4th GOD Awards committee member is coming to 4th GOD Awards and 3rd WCH Humanitarian Summit in New York! WCH Publicity Ambassador Balarabe Shamwilu Shitu, appointed 4th GOD Awards committee member is coming to 4th GOD Awards and 3rd WCH Humanitarian Summit in New York! WCH Publicity Ambassador H.E ANGY MERA, will be joining the upcoming 4th GOD Awards and 3rd WCH Humanitarian Summit in New York! WCH Publicity Ambassador H.E Mary Parton along with other special guest multi talented celebrity performers, whom will be joining the upcoming 4th GOD Awards and 3rd WCH Humanitarian Summit in New York! Former President Stjepan Mesic will be honored at the 4th Global Officials of Dignity Awards(G.O.D. Awards) and scheduled to speak at the 3rd WCH Humanitarian Summit on August 17-19, 2016 at the United Nations Headquarters, New York. Both flagship events are organized by We Care for Humanity and its philanthropic partners: SREI Foundation, J & B Medical Company, HWPL and China-US Business Association. 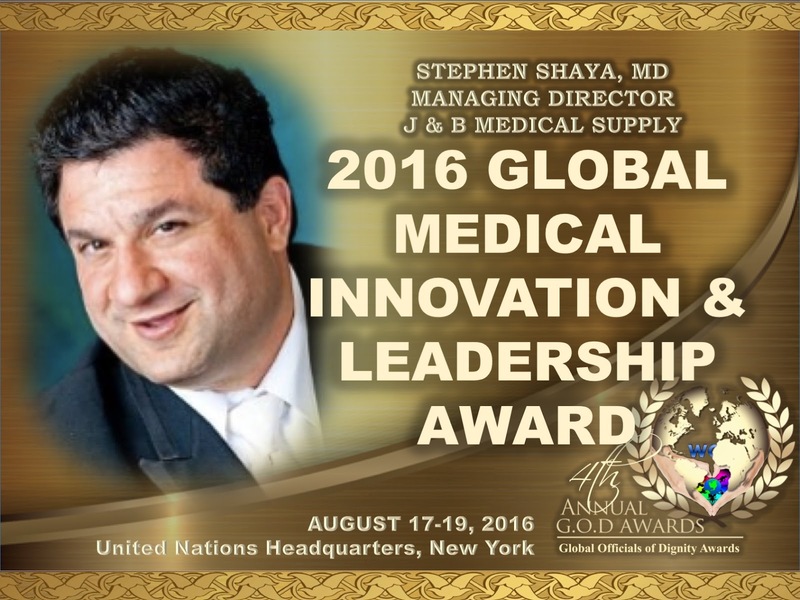 Dr. Stephen Shaya will be honored at the 4th Global Officials of Dignity Awards (G.O.D. 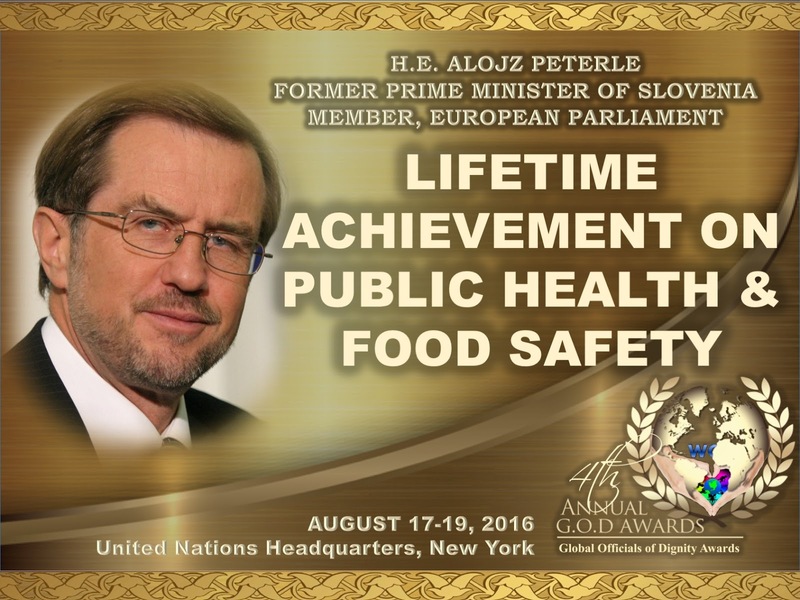 Awards) and scheduled to speak at the 3rd WCH Humanitarian Summit on August 17-19, 2016 at the United Nations Headquarters, New York. Both flagship events are organized by We Care for Humanity and its philanthropic partners: SREI Foundation, J & B Medical Company, HWPL and China-US Business Association. Bollywood Actor and Model Suchhi Kumar never imagined he would receive a humanitarian award someday. A natural giver, Suchhi loves giving back to the community quietly. ​Last Christmas, Suchhi played a big role in the "Global Santa Project" of We Care for Humanity WCH where he was responsible for bringing happiness to at least 2000 children in India. The prince will be honored at the 4th Global Officials of Dignity Awards(G.O.D. Awards) and scheduled to speak at the 3rd WCH Humanitarian Summit on August 17-19, 2016 at the United Nations Headquarters, New York. Both flagship events are organized by We Care for Humanity and its philanthropic partners: SREI Foundation, J & B Medical Company, HWPL and China-US Business Association. Mr. William will be honored at the 4th Global Officials of Dignity Awards(G.O.D. 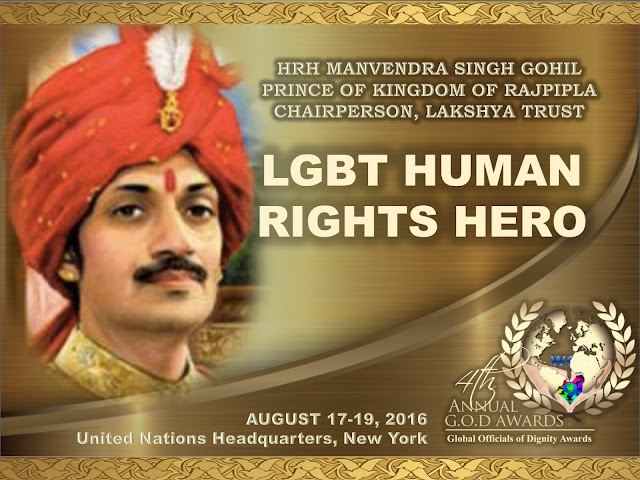 Awards) and scheduled to speak at the 3rd WCH Humanitarian Summit on August 17-19, 2016 at the United Nations Headquarters, New York. Both flagship events are organized by We Care for Humanity and its philanthropic partners: SREI Foundation, J & B Medical Company, HWPL and China-US Business Association. H.E. Kalonzo will be honored at the 4th Global Officials of Dignity Awards(G.O.D. Awards) and scheduled to speak at the 3rd WCH Humanitarian Summit on August 17-19, 2016 at the United Nations Headquarters, New York. Both flagship events are organized by We Care for Humanity and its philanthropic partners: SREI Foundation, J & B Medical Company, HWPL and China-US Business Association. Stephen Kalonzo Musyoka (born December 24, 1953) is a Kenyan politician, served as the 10th Vice President of Kenya. Musyoka served in the government under President Daniel arap Moi and was Minister for Foreign Affairs from 1993 until 1998; subsequently, under President Mwai Kibaki, he was Minister of Foreign Affairs again from 2003 to 2004, then Minister of the Environment from 2004 to 2005. He was an presidential candidate in the 2007 presidential election, after which he was appointed as Vice-President by Kibaki in January 2008. He also serves as Chief Commissioner for The Kenya Scouts Association. Stephen Kalonzo Musyoka’s long journey to elective politics began in 1983, when he first tried his hand for the then Kitui North seat. He lost to Philip Manandu. He tried yet again in 1985 and won by a landslide vote in a by-election. He has maintained his parliamentary seat since then. During his tenure as a member of parliament he has served in different posts of government in serving the nation. These are: Assistant Minister for Works and Physical Planning, Minister for Foreign Affairs and International Cooperation where his duties saw him travel widely, representing the country in major global meetings and events. He represented the State in key international forums, and has addressed the UN General Assembly seven times. It is during this time that he initiated peace negotiations among warring parties in Burundi and within war torn countries of Sudan and Somalia. He has also served as Minister for Education, Information, Tourism and Environment. Stephen Kalonzo Musyoka was born on 24th December 1953 in Tseikuru village, Mwingi District (of the then, Kitui District). He began his primary school education in 1960 at Tseikuru Primary School. In 1967, Mr. Musyoka passed his primary education examinations and was admitted to Kitui High School in 1968 for ‘0’ Level Certificate. He joined Meru High School for ‘A’ Levels, 1972. Later in 1973, he sat for his examination. He then proceeded to study law at the University of Nairobi. After successfully completing his law degree in 1977 he joined the Kenya Law School. He attended his pupilage at the prestigious Kaplan and Stratton law firm. 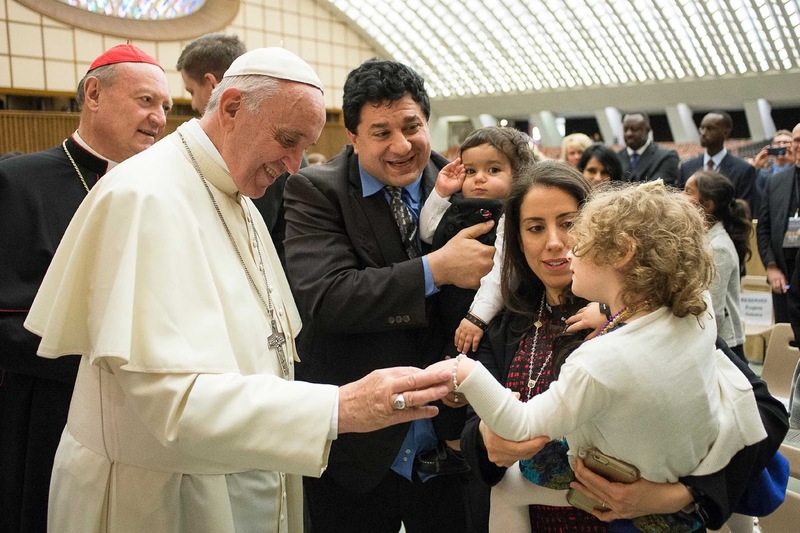 He is married to Pauline, they have been blessed with four children. We congratulate our very own, WCH Vice President Stephen Shaya, MD and family for having up close and personal meeting with His Holy Father, Pope Francis last April 27 - May 2, 2016 at the Vatican in Rome, Italy.Sir Dr. Stephen. Shaya, a noble Knight of the Order of Saint John of Jerusalem of the Knights of Malta is also the Managing Director of J & B Medical company, one of the leading medical supply companies in America and reaching global market via Health Net Connect innovation.In his meeting with Pope Francis, Stephen presented the Piestas project- a guiding light shining hope through innovative healthcare solutions providing care to anyone, anytime, anyplace. 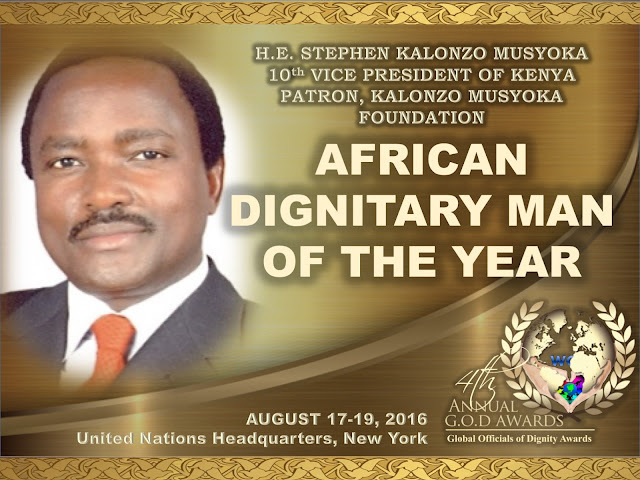 Dr. Stephen is also scheduled to be honored at the 4th Global Officials of Dignity Awards(G.O.D. Awards) as 2016 Global Medical Innovation and Leadership Award and to speak at the 3rd WCH Humanitarian Summit on August 17-19, 2016 at the United Nations Headquarters, New York. Both flagship events are organized by We Care for Humanity and its philanthropic partners: SREI Foundation, J & B Medical Company, HWPL and China-US Business Association.